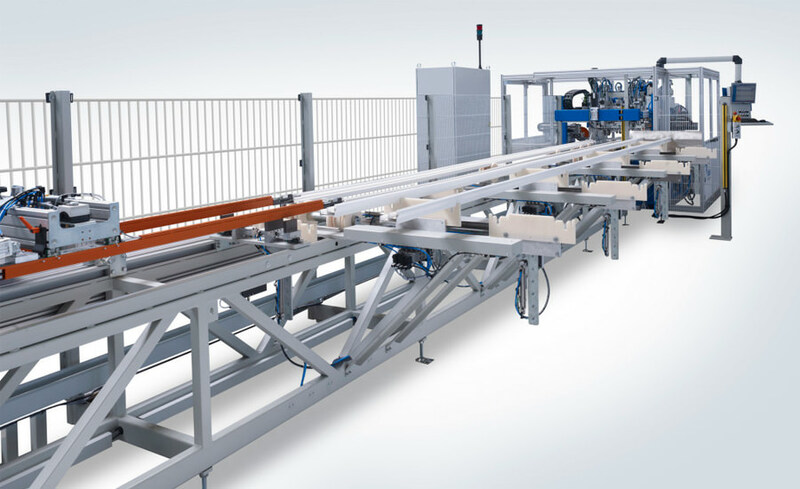 Stürtz is once again preparing for the annual GlassBuild America Exhibition. This year’s event will be held at the Georgia World Congress Center in Atlanta, GA and runs from September 16th-18th. Our 1800 square foot exhibit will showcase our full range of cutting, welding and cleaning equipment for vinyl fenestration products. We will have the latest version of our LinearPro Through Feed Double Miter Saw in the booth. The machine will be displayed with inline fabrication. Our LinearPro Series remains the fastest, most accurate and most repeatable fabrication saw in our industry. After being the first to introduce High Speed Welding Technology to Europe, Stürtz has brought the Turbo Welder to North America! This high performance welder utilizes multiple servo drives to position the weld heads, bring the material together and control the pressure during the joining cycle. The result is an approximate 30% reduction in cycle time. 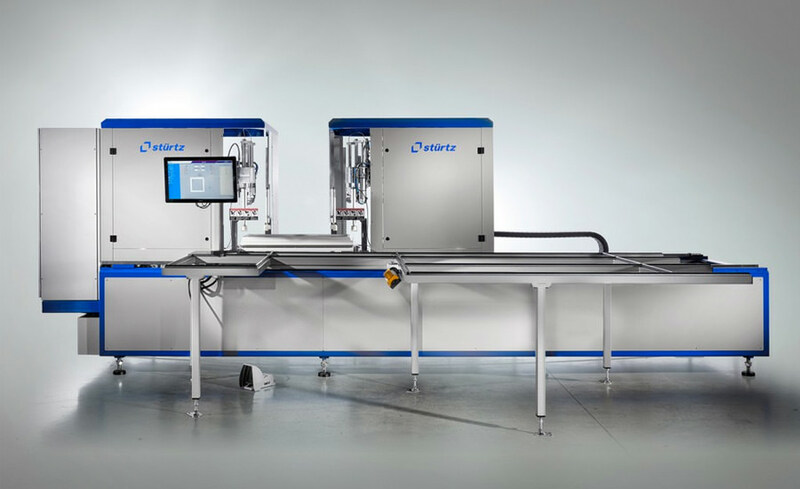 While building off the original European technology, this latest version offers a new way to increase production in a smaller footprint while maintaining the critical features required in North America, including double stacking and notched welding. The Model SMI-8AC-2H-30 Twin Head CNC Corner Cleaner is the latest generation of high speed, programmable corner cleaners from Stürtz. Our tried and proven cleaners are the industry standard in speed and consistency! This latest version incorporates 8 servo axes (four axes per head) to increase speed and precision. Standard tools include a programmable saw blade for exterior contour cleaning, top and bottom vertical and horizontal scarfing, top and bottom vertical routing and a unique horizontal scarfing system to clean the interior sash pockets and screen track. Compared to the actual series of machines tool travel and clamping capacity could be increased to be ready for multiple profile systems. Programming is accomplished using a simple and intuitive menu system with “drag and drop” tools. Everything your maintenance department needs to program is shown on the screen providing a visual representation of the profile and the orientation of each tool. Maintenance and clean-up have also been addressed in this latest member of our cleaner product line. Maintenance scheduling and reporting can be accomplished through the standard machine software. PM items are listed and scheduled within the system and a visual reminder appears on the operator screen when maintenance is due. We have also added a new Sweeper System under the cleaner to bring the vinyl dust out to one end of the machine and into a low profile, manually removable tray. 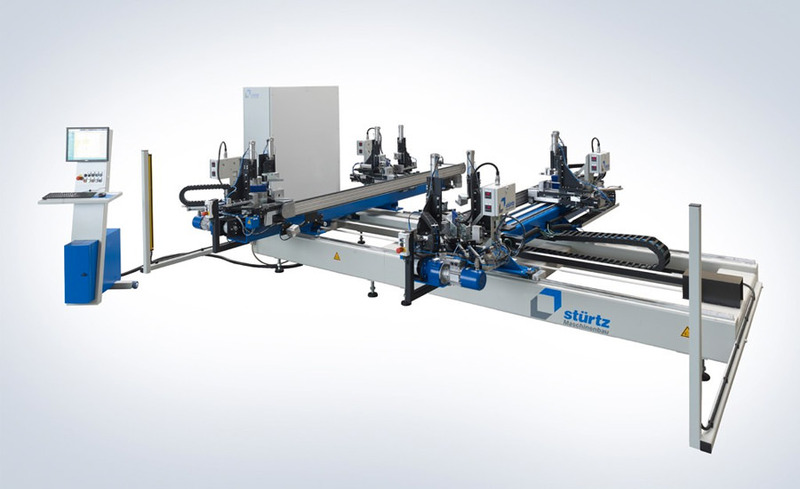 The latest design to come out of the Stürtz R&D group is our new Automated Sash Hardware Assembly Machine. Our customers have been asking for a simple, efficient method of attaching hardware for the Slider and Hung Sash products for quite some time. This machine meets their need! The hardware machine can be operated automatically by putting it in line with a corner cleaner and allowing for belt transfer onto the hardware machine support table. A less automated alternative would be for an operator to manually load the sash onto the assembly machine support table. Once on the table and identified, the machine takes over. It measures the sash to verify its actual dimensions. Then, hardware components are removed from storage magazines indexed into position and attached using automatic screwing machines. The assembly of parts like locks, keepers, pivots bars and similar hardware components can be automated using this system. This machine eliminates operator error and repetitive motion injuries that are common in this area of a window plant. In addition, the efficiency and consistent timing of the operation will improve the overall line flow. We are looking forward to an excellent show this year and hope to see you there. Please stop by and see us at Booth #135 to find out what’s new in vinyl fenestration machinery! For additional information, contact Mike Biffl at 440-463-5423 or by e-mail at mbiffl@sturtz.com.